Happy Friday, People! Do not adjust your monitors, I blurred out Mr. Fantastic's face. Don't worry, I promise you he's beautiful. The State Fair of Texas kicked off last week and Mr. Fantastic took me to the fair last weekend. We love the fair and have gone every year since we started dated dating. Mr. 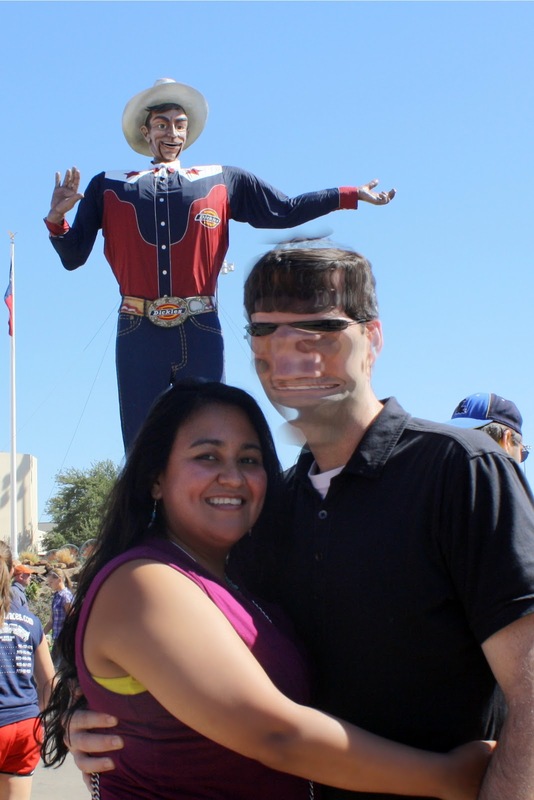 Fantastic likes the Auto Show and we both just have to go see Big Tex and snap a photo. My favorite is trying the new fried food each year, which is not always as great as it sounds. I liked the fried margaritas last year and I LOVE the fried peanut butter, jelly and banana sandwiches each year, but the fried butter was not so good. 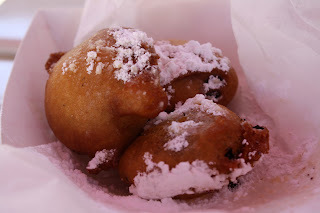 This year they featured fried snickers and oreos. I had the fried oreo below and while it was okay, I wouldn't go back for more the way I love the PB&J and banana sandwiches. Hope you all get to make it to the fair this year!